This is my first modding theme.Unfortunately i'm not a skinner or themer.Doing this for fun and try a new things and also be'cuz i love Mozilla (SeaMonkey) , Firefox and the product using the Mozilla backend bone. And of 'coz now i'm enjoying using Opera too. Please Enjoy.....!. 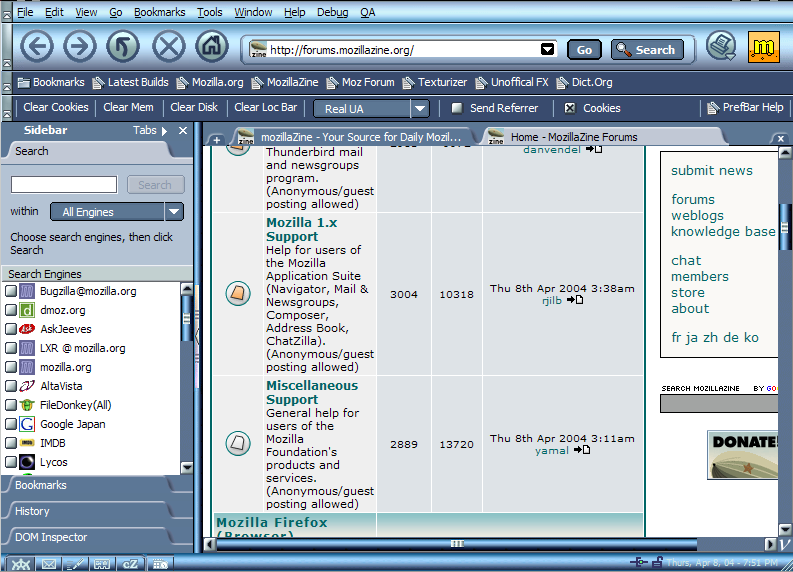 For SeaMonkey Theme you can always get the latest "SubSkin" for this theme (VCM) from Sailfish site's (Thx). Please read the instructions to enable the SubSkin. My credits to Sailfish for his efforts. Enable SubSkin "How to" ?